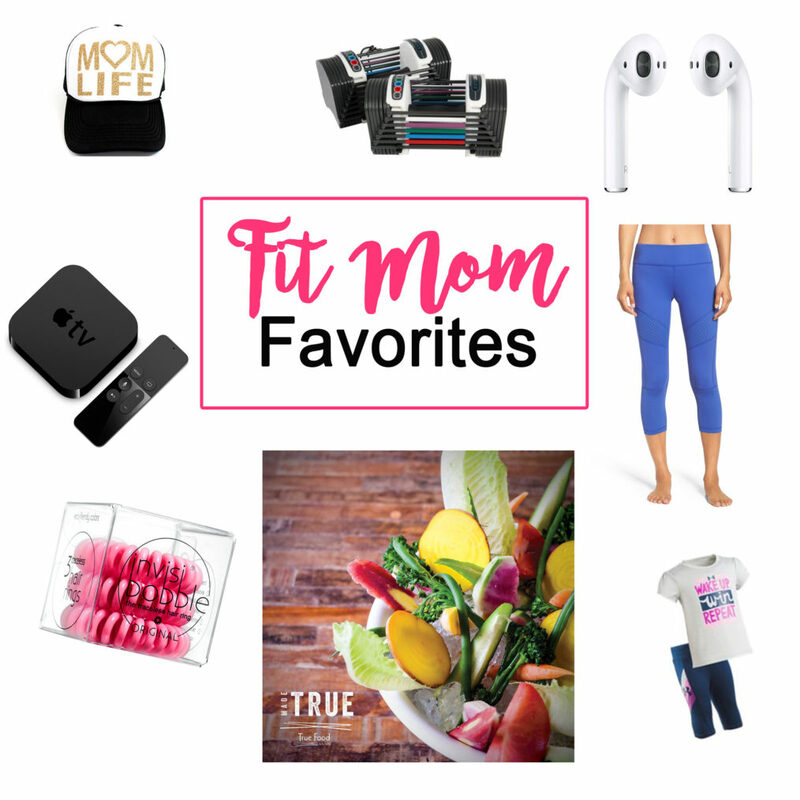 Every fit mom likes new workout clothes and workout gear. For clothes I really like all of Target’s new spring and summer colors. Also, I’ve been getting a lot of my stuff from Nordstrom like these Zella crops (they are also very comfortable). I almost always wear a hat when I workout to keep my hair out of my face. I like this cute “Momlife” hat from Etsy. I always take my phone with me on runs in case the baby needs me. The phone itself is bulky enough without a bulky arm strap and dangling wires on headphones. So, I use a neoprene armband (lightweight & flexible) similar to this and love my Apple Wireless Airpods (headphones). Let’s face it – as moms…we have to squeeze in a workout when we can and sometimes that means at home. I recommend getting a set of Adjustable weights for home workouts so you can keep just the one set in your workout area without taking up too much space. I love Apple TV so I can stream youtube workouts and Instagram live workouts (like the one I’ll be doing on my @Bombshell_Bootcamp Insta soon!). All moms want to look and feel pretty. If she likes spa days…I recommend Milk + Honey spa in Houston. If she’s been super busy and doesn’t have much time to fix her hair – get her a giftcard to the Drybar for a blowout or braid that she can show off at her next yoga class. But, if you think she’d like a completely new look or just really awesome highlights – send her to my colorist Sarah at Ceron salon. I’ll be doing a post about her soon because she has a great transformation story! I also love these new hair bands I found at Sephora (another great idea for a gift card!) because they don’t break or damage my hair. The baby dumbbell rattle is so cute and babies love rattles! I also love this cute Under Armour baby workout outfit (shown in my picture below) for babies. Have a bigger toddler? Check out this toddler weight set with barbell! If you have bigger kids, get them excited about yoga with their own Kids yoga mat and yoga deck cards! Fitness classes or gift cards also make great gifts. 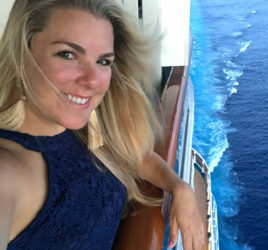 I personally love the Bombshell Bootcamp Giftcard ; ) but yoga or spin classes make great gifts, or just help her make time for early morning runs by watching the baby or swap carpooling the kids with another fit mom friend! 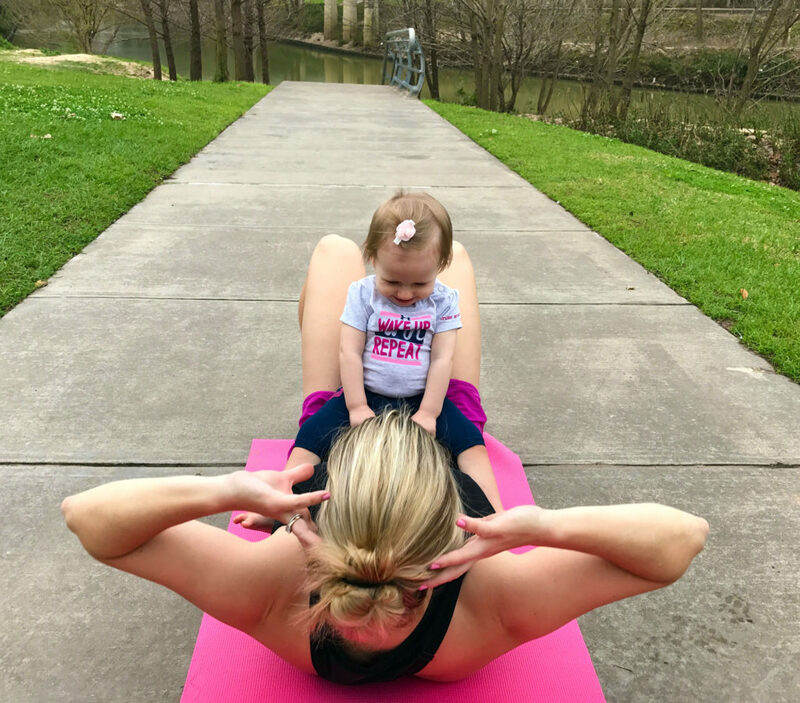 Most cities also have “Mommy and Me” classes for babies and moms under 2 or ask around for baby bootcamps or just see if your favorite bootcamp will allow you to bring a baby in a stroller (mine will). Fit moms like to celebrate and go out – but sometimes it can be stressful picking a healthy spot that the rest of the family will enjoy. My new favorite for lunch in Houston is Bebidas. For dinner I always love True Food Kitchen (you HAVE to order the crudites!) and it’s a chain – so if you don’t live in Houston check out their other locations. A few of my other local favorites for healthy (and vegetarian friendly) options are Ruggles Green and Molina’s (grilled chicken or fish platter with veggies) and Escalante’s (grilled fish tacos and their baked tortilla chips). *All opinions on the products and companies are my own.